Polish Personalities – A Pumpkin Party! Polish Boutique is comprised of many great girls with sparkling personalities. 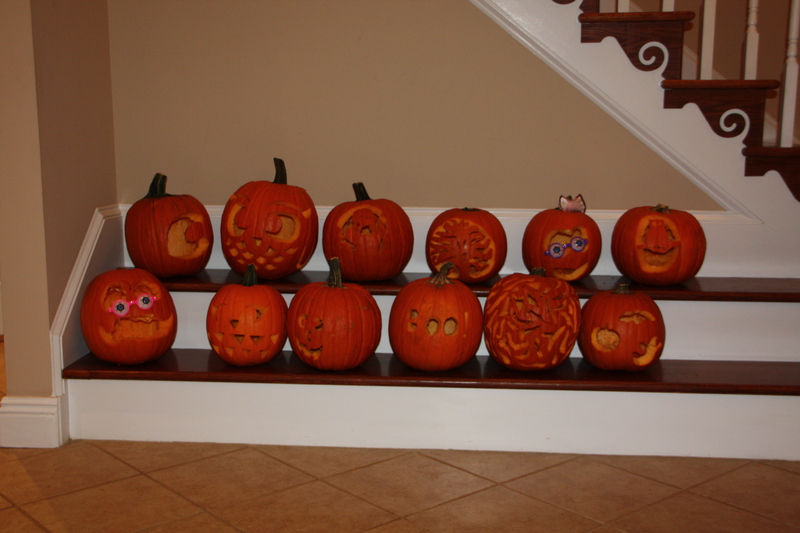 For Halloween, we all came together (East and West) and celebrated Halloween by carving pumpkins together! It’s fun to see how each person’s personality came out in their pumpkin carving! This post will be mostly pictures. We hope you enjoy! We ate, we drank and we carved pumpkins! A fun night was had by all! If you’ve never had a pumpkin carving party, you should! They are loads of fun! Just have everyone bring their favorite food, their own pumpkin and a carving set! Turn on some good music and get to carving! We love our employees and their Perfectly Polished (ha ha) Pumpkins! Too bad many of the girls actually forgot to LEAVE with their pumpkin! It’s ok, Mandy will have plenty to decorate her house with now!